As the temperatures cool, the music heats up here in the Gatlinburg-Pigeon Forge area. Join us this fall for rousing musical events featuring the genres the mountains are famous for – from country and bluegrass to old-fashioned Southern Gospel. Now in its 20th year in Pigeon Forge, Country Tonite offers nightly (plus some daytime) performances throughout the Fall. Consistently ranked one of the Smokies' best shows, it's updated for 2017 with all-new production numbers, choreography, lighting effects, and more. Each fast-paced performance combines classic country favorites and contemporary C&W hits with hilarious comedy routines and stirring patriotic numbers... all in a 1,500-seat, multi-million-dollar theatre equipped with the latest high-tech sound and lighting. The talented lineup includes youth performers, too, so it's fun for the entire family. Once or twice a month, Country Tonite hosts a gala celebrity concert. This September 23, at 3 and 8 p.m., the legendary Oak Ridge Boys will take center stage to deliver their famous four-part harmonies and toe-tapping country melodies. October's celebrity artists will include Johnny Fortune (formerly with the Statler Brothers), Mickey Gilley, and Johnny Lee. Be sure to buy tickets in advance... then mosey on down to Showplace Boulevard to enjoy foot-stompin' country entertainment. Fiddlin', Pickin', and that "High, Lonesome Sound"
Love bluegrass? You're in luck. This September 14-16 the town of Kodak (near Sevierville) will host the Dumplin Valley Bluegrass Festival, three rollicking days of authentic mountain music. Then, on October 20-21, the Veterans Bluegrass and Gospel Festival will return to the Sevier County Fairgrounds. Both festivals will be free and open to the public, so bring your friends and family along to savor the haunting sounds of Appalachia. Great news for fans of old-time Christian music: This fall Gospel legend Bill Gaither will return to Pigeon Forge for the 60th-anniversary National Quartet Convention, America's largest Gospel-music event. Gaither's iconic Vocal Band will join an all-star lineup, including the Booth Brothers, the Hoppers, Greater Vision, Kingdom Heirs, Mark Trammell Quartet, and more. Along with beloved inspirational tunes, you'll enjoy Dr. David Jeremiah's keynote address, the Singing News Fan Awards, Gerald Wolfe's Gospel Music Hymn Sing, and the Gaither Homecoming Sing-Along. It all takes place at the fabled LeConte Center between September 24 and 30, 2017. Perfect fall break for families and church groups! Can't get enough of that good old music? Visit Dollywood between September 29 and October 28 for the Southern Gospel Jubilee, part of the annual Harvest Festival. 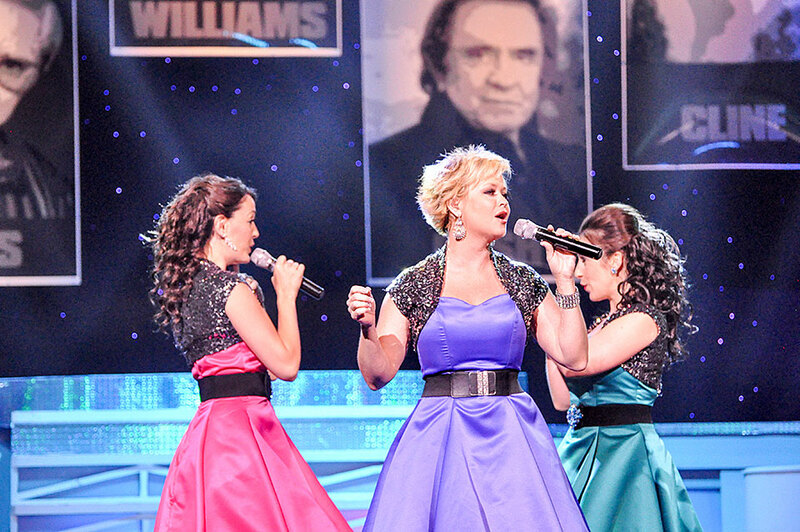 All performances are free with Dollywood admission, so kick up your heels and enjoy! If you'll be in the area between October 30 and November 2, check out the Creekside Gospel Music Convention at the Smoky Mountain Convention Center, featuring favorite artists like The Williamsons, Pat Barker, the Hyssongs, Hope's Journey, and many more. Best of all, you'll enjoy all this glorious music amid breathtaking mountain scenery, right at the time when the trees light up with fall colors. But remember, reservations fill up fast – for both events and accommodations. Contact Volunteer Cabin Rentals in beautiful Wears Valley, offering a wide range of comfortable cabins just minutes from Gatlinburg and Pigeon Forge. Don't delay. Book your getaway now! Ready to explore infinity? Head to Ripley's Marvelous Mirror Maze in Gatlinburg. Here you'll encounter mirrored walls, twisting turns, and LED-lit pathways galore. You'll feel as if the illusions go on forever, but with a little skill (plus some trial and error), you'll solve the mystery and reach your goal. For an even more daunting challenge, try the Escape Game in Pigeon Forge, a fun-filled, one-hour brainteaser, where you'll solve million-dollar heists and navigate through prison pathways to make your great escape. Ideal for families, parties, and corporate team-building groups. Fall is one of our most popular seasons, so don't miss out on an A-MAZE-ing experience. Contact us today to reserve your vacation getaway at one of our comfortable cabins. We offer a wide range of affordable rentals, from cozy cabins to luxury log homes, all in the lovely Wears Valley just minutes from Gatlinburg and Pigeon Forge. Book now!